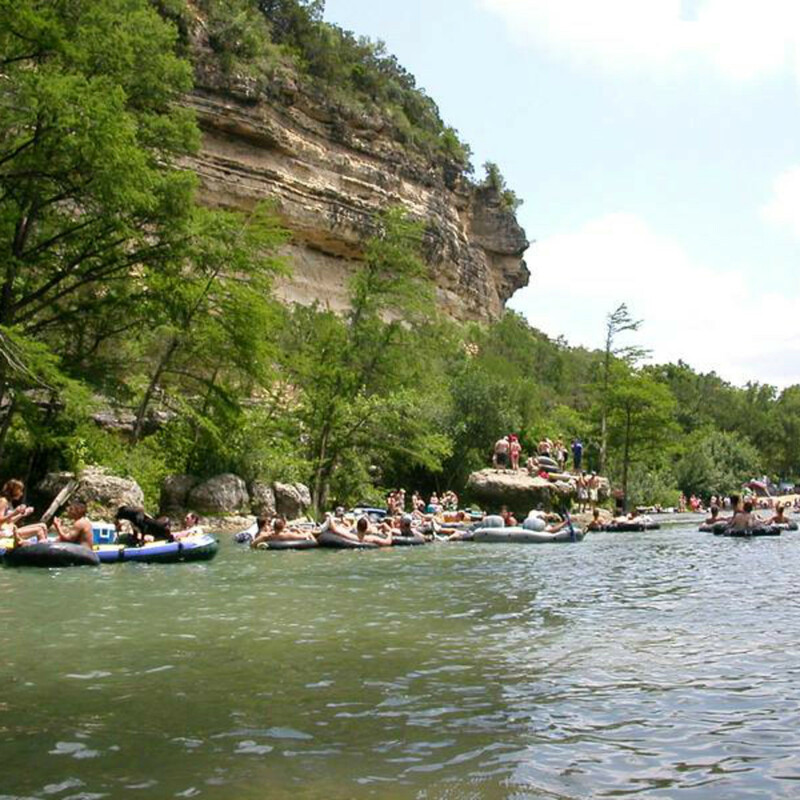 Summer is here, and that means it’s high time to find yourself a tube and float down one of the Hill Country’s lovely rivers. If you’re a seasoned practitioner of this most Texan of pastimes, you probably have a favorite spot to enjoy the cool, clear water of the Guadalupe or Comal rivers, but what about after the float? Where do you go to quench your thirst or satisfy the hunger you worked up fighting the occasional rapid? From the Horseshoe to Landa Park and from River Road to downtown Gruene, we know the best places to refuel after a long day on the river. Here’s where you should stop to drink and dine on your next float trip. People love tubing the Horseshoe because it provides so many options for the length and difficulty of your float, but because it isn’t in the middle of a bustling town like New Braunfels or San Marcos, finding good grub can be difficult. 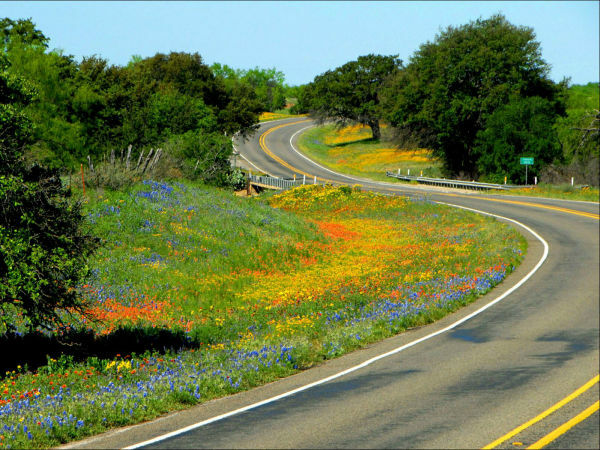 Thankfully, Rockin’ Roadrunner is just down FM 306 from the end of the Horseshoe. 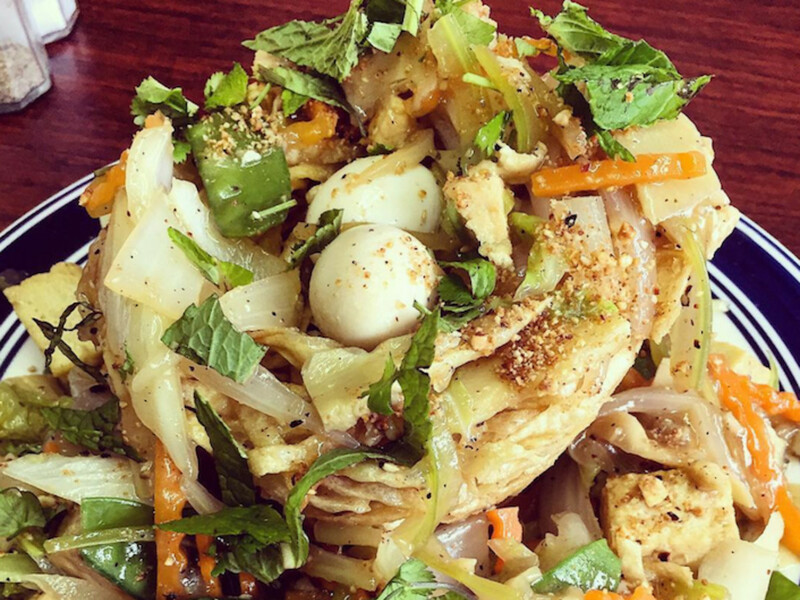 The small cafe doesn’t look like much from the outside, but venture in, and you’ll be met with the smells of home-cooked Vietnamese cuisine, as well as less exotic fare like burgers and barbecued chicken. Stop by on the weekend for traditional American breakfasts (think waffles and omelets) or branch out a little and try the best things on the menu, the pho and the “roadrunner’s nest.” The husband-and-wife duo who own the place (he’s American, she’s Vietnamese) prepare everything to order, except the pho, which cooks over a period of days to achieve the ultimate umami flavor. Both dishes make great use of the fresh herbs and bean sprouts grown in the owners’ garden. 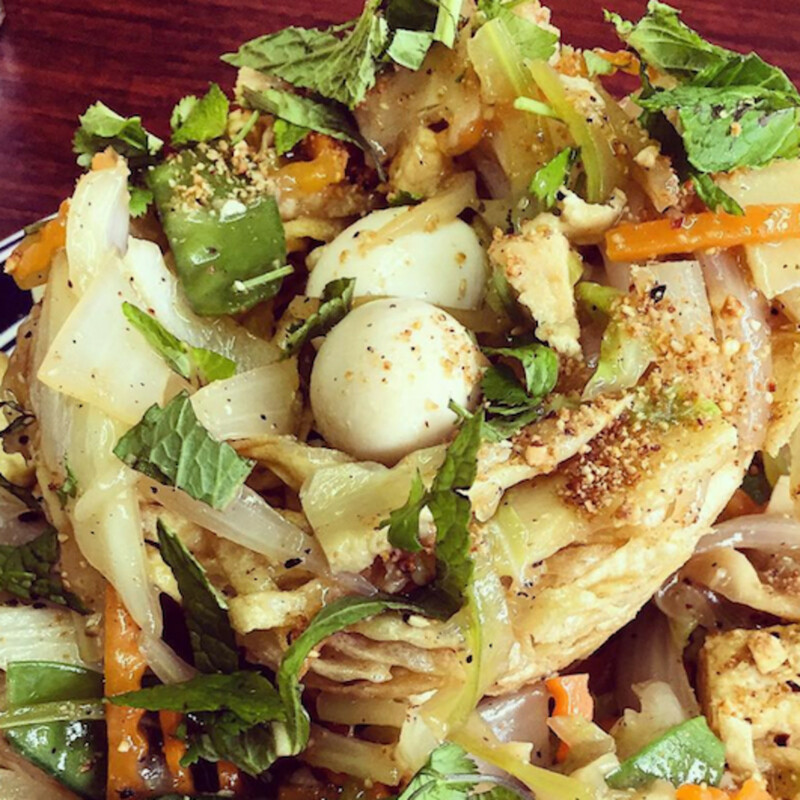 While hot soup or fried noodles might not sound ideal after being out in the hot sun, they are almost guaranteed to ward off your inevitable Shiner-induced hangovers. 12444 FM 306, Canyon Lake. 830-964-2341. This stretch of campgrounds and icehouses along the Guadalupe River might offer ample opportunities for floating and drinking, but if you get hungry, the nearby options are scarce. You could backtrack into Sattler or wait until New Braunfels, or you could hit up Lone Star Float House, right in the middle of it all. If you order only one thing there, make it a burger. The patties are huge, spilling out of the buns, and they’re reminiscent of good, old-fashioned Texas roadside burgers — the kind that are thin and slightly charred but still bursting with flavor. The extensive sandwich list, offering everything from juicy pulled pork to a slightly healthier turkey wrap, is also guaranteed to fuel another several hours of floating the river. The tubing joint also has tasty side dishes, salads, and tacos that are on the lighter side and an extensive porch on which to enjoy them for when you’re too full of beer and contentment to deal with heartier fare. 7430 River Rd., New Braunfels. 830-907-3866. 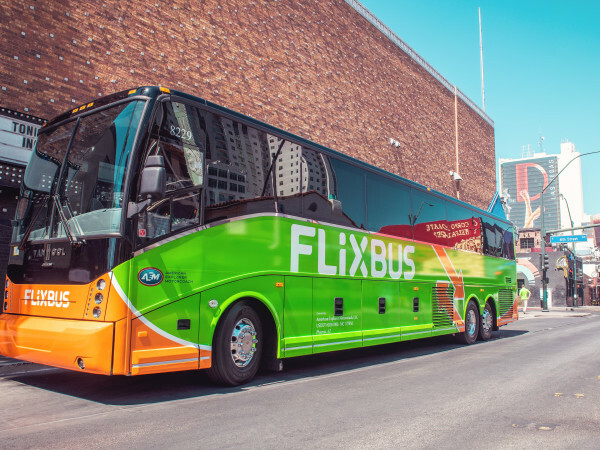 With numerous options for tubing and dining, downtown New Braunfels can seem like an embarrassment of riches. How to choose? If you aren’t quite ready to abandon the river and venture into town, head a short distance over to a New Braunfels institution. 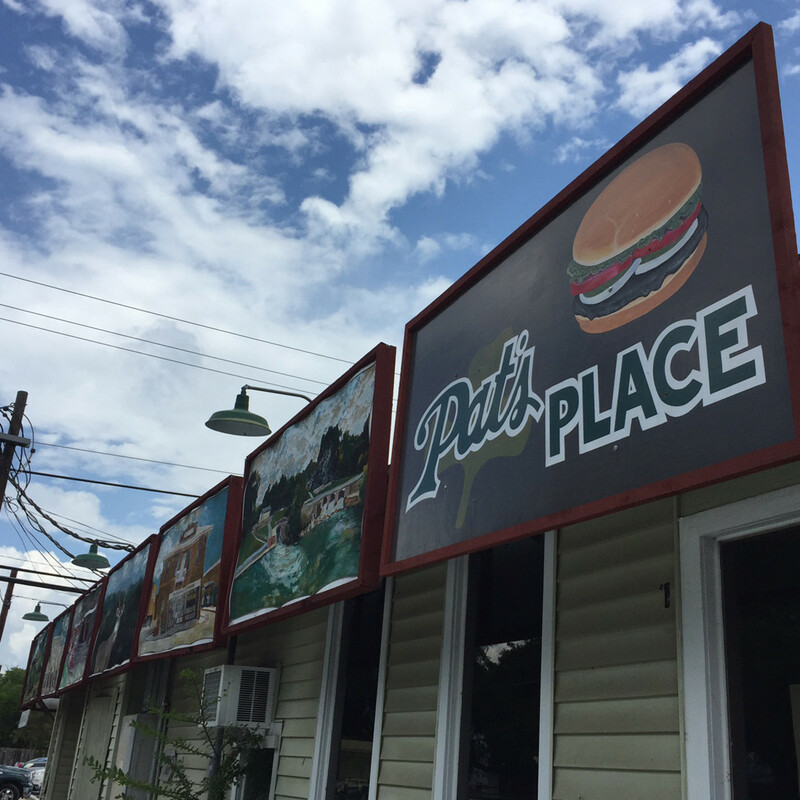 Opened in 1977, Pat’s Place has been serving locals and tourists alike for 40 years, and it’s easy to see why. There’s an extensive menu with everything from burgers to spaghetti to enchiladas, and the chips and queso are some of the best around. 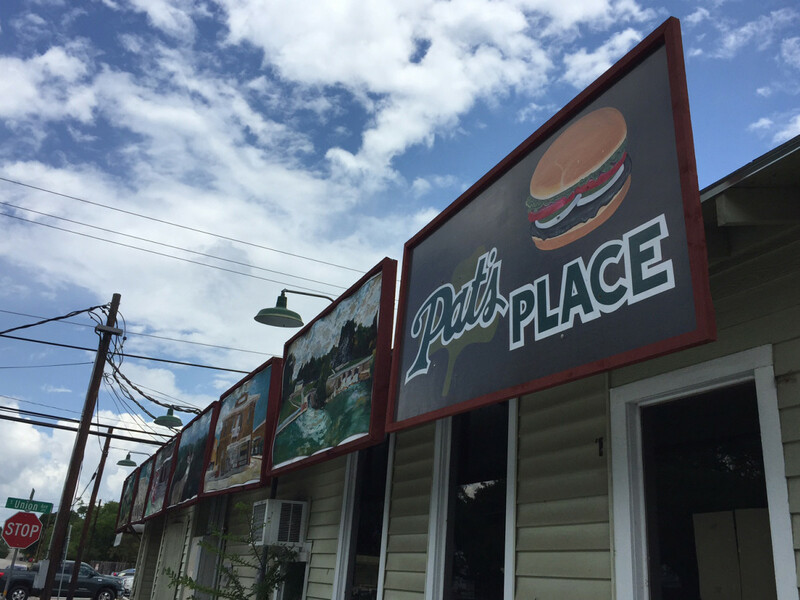 Though many have raved about the Pat’s Place burgers, the catfish platter offers the best bang for your buck, as it’s served with fries, hush puppies and slaw, in addition to several strips of crisp and flaky fried catfish and multiple dipping sauces. Order the catfish po’boy for a brief mental vacation to New Orleans, or slip into a food coma with the chicken fried chicken platter. Visitors should note that parking can be troublesome, though, so if you’re stopping by for lunch, your best bet is to walk over from the river. You’ll want to burn those extra calories to make room for the Mississippi mud pie anyway. 202 S. Union Ave., New Braunfels. 830-625-9070. 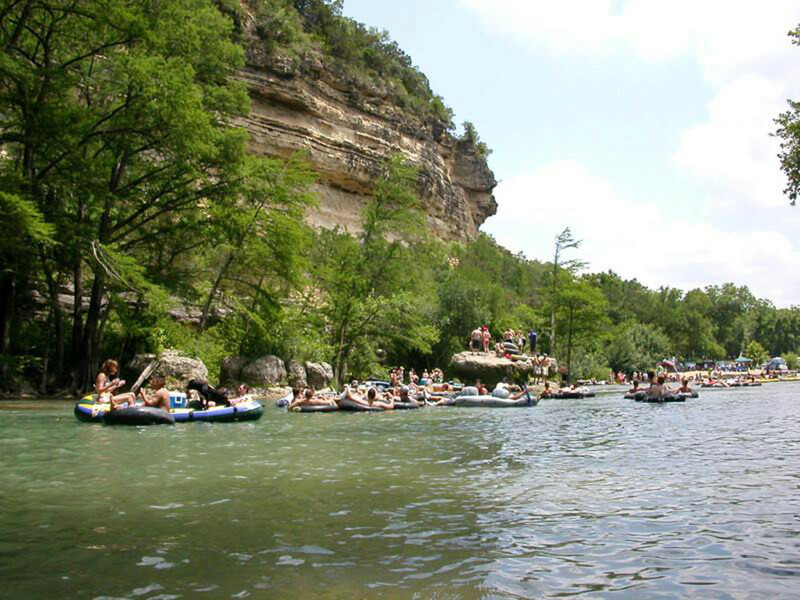 Just around the corner from quaint downtown Gruene and away from the crowds of New Braunfels, you’ll find Rockin’ R River Rides and the Gruene River Company, both excellent spots to dip in the river for a float. If you get in at Gruene and float down to New Braunfels, take a shuttle back to the small town for lunch at the Gristmill, another Hill Country institution that’s been open for the last 40 years. 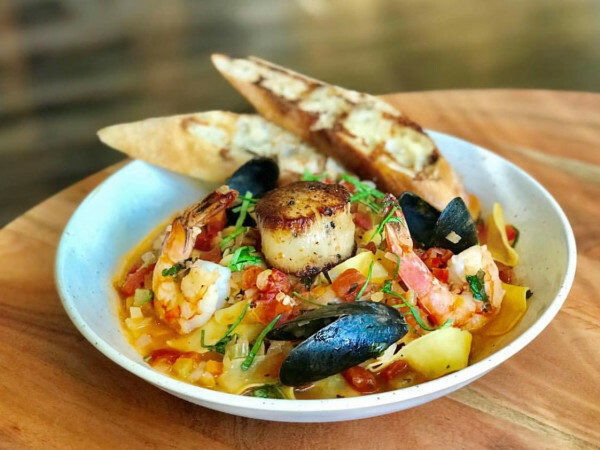 With a large patio able to accommodate large groups of outdoor adventurers, the rustic country atmosphere and massive menu will please even the most exhausted tubers. The food here is slightly more upscale than at previously mentioned spots, but the prices are kept relatively low. Though most tubers will probably gravitate toward the juicy steaks, burgers ,or towers of onion rings, the salads here are some of the best around. Get the best of both worlds (meat and veggies) with the beef tenderloin salad, and don’t forget a side of the Gristmill’s award-winning tortilla soup. 1287 Gruene Rd., New Braunfels. 830-625-0684.